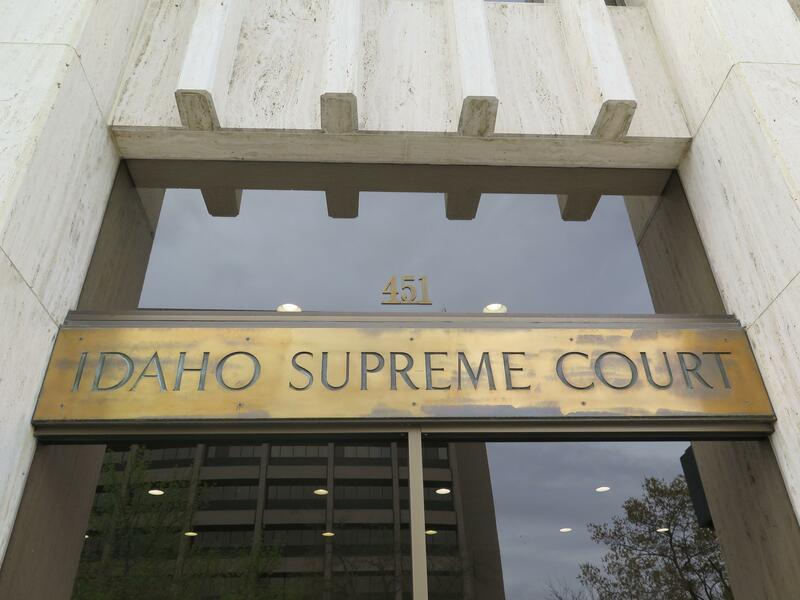 BOISE – The Idaho Supreme Court, in a 4-1 ruling Tuesday afternoon, upheld Gov. Butch Otter’s veto of legislation removing the state’s 6 percent sales tax on groceries. But the high court also overturned a 39-year-old precedent and ruled that the Idaho Constitution actually requires the Legislature to present all bills to the governor before they adjourn for the year – a ruling that will significantly change how the Idaho Legislature operates at the end of its annual session each year. The case pitted Idaho’s legislative branch against its executive branch in a struggle for power; in recent years in Idaho, the balance of powers between those branches has been shifting toward the legislative branch. But that wasn’t the result in this case. Justice Warren Jones dissented, writing that he favored a “strict constructionist approach to the Constitution.” But Justices Roger Burdick, Joel Horton and Robyn Brody all concurred in Eismann’s opinion. The high court held that its ruling applies prospectively only – not retrospectively. That means the new rule for when bills must be presented to the governor – for his signature or veto – takes effect now, not for past actions. It’s a win for Denney and Gov. Butch Otter; the court ordered the lawmakers who sued to pay the court costs on appeal. In Cenarrusa v. Andrus, the court held that once lawmakers have adjourned their session for the year, the governor has 10 days from the time he receives any particular bill to either sign it, veto it, or have it become law without his signature. The 3-2 ruling had gone unchallenged for nearly four decades, but last year, in a different case, two of the current justices – Eismann and Jones – signed a concurring opinion strongly suggesting they thought the Cenarrusa decision was wrong. The lawmakers who sued contended that the exact wording of the state constitution only gave the governor 10 days from their session’s adjournment – not from when he received the bill. Under their approach, Otter’s veto of the grocery tax bill came too late, and the bill became law without his signature. Under Cenarrusa v. Andrus, the veto was valid. Otter argued that going with the lawmakers’ interpretation would allow the legislative branch to stymie the governor’s ability to veto bills – by simply delaying them until it’s too late and the deadline’s passed. “When a bill is presented to the governor and when the legislature adjourns sine die are both within the sole control of the legislature,” Eismann wrote. “Sine die” means without a day – it signifies that the Legislature’s annual session is done for the year. In their decision, the justices found that the constitution does, in fact, imply that the governor would already have been presented with the bill – and that that’s because the Legislature can’t present bills after it adjourns for the year. The end result is that Otter’s veto stands, and Idahoans will continue paying the 6 percent sales tax on groceries – at least for now. But there’s nothing stopping the Legislature from passing the same bill again next year, and this time, getting it to the governor in enough time that lawmakers, if they still have two-thirds support, could override his veto. Published: July 18, 2017, 3:54 p.m. Updated: July 18, 2017, 10:43 p.m.